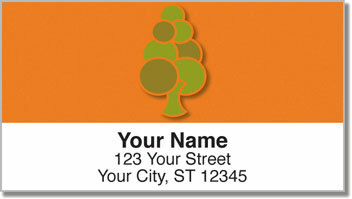 Give your outgoing mail some artistic originality with return address labels that pop with vibrant citrusy hues. They are so fresh...you can almost taste it! Each design in this set of four labels is completely different from the next. Boring brown paper packages and lifeless white envelopes suddenly stand out with class and character when you stick them in place! 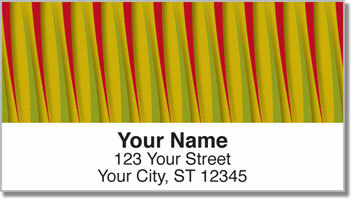 Abstract Orange Address Labels from CheckAdvantage are not only attractive, they are also convenient. 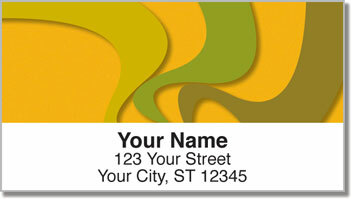 A self-adhesive backing means you'll never have to scribble your name and address on letters and packages again! 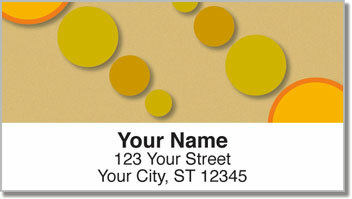 Get your very own Abstract Orange Address Labels now! You'll also find this selection as a set of matching personal checks!